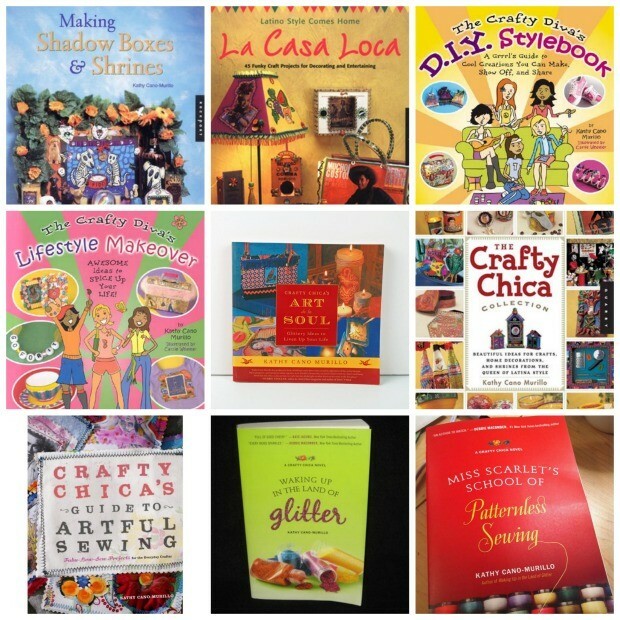 This page is dedicated to Crafty Chica books! These are novels and craft books I’ve authored over the years. I hope you’ll buy one (or more!) and that they bring you much happiness! 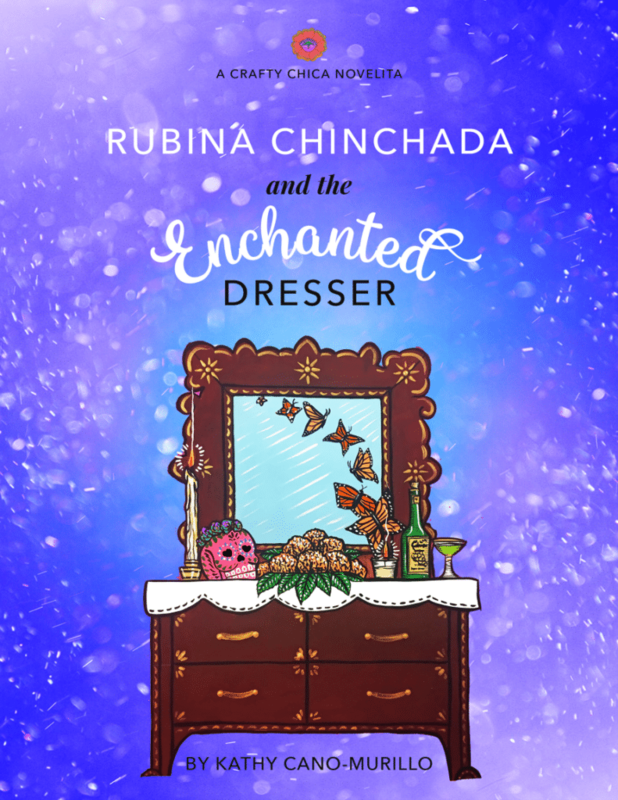 Buy Rubina Chinchada and the Enchanted Dresser here. Latinx fiction by Kathy Cano-Murillo. One chilly Phoenix Halloween morning, the exceptionally crafty Rubina Chinchada rescues the perfect vintage dresser from the jaws of bulk trash collection. But later that night, she discovers the truth to its abandonment – it’s haunted. It’s now Dia de Los Muertos night. Rubina and her cousin Mona set out to put the eager ghost at ease and solve a mystery to a forbidden romance. Sugar skulls, a nosy butterfly, a reconstructed coffin all come into play in this short story that celebrates eternal love, friendship, and family! Buy Waking Up in the Land of Glitter here. With glue guns, glitter, twigs, or yarn, the ordinary can become extraordinary . . . especially at La Pachanga. Owned by Estrella “Star” Esteban’s family, the restaurant has a rep for two things: good food and great art. La Pachanga brings people together-even when it looks like they couldn’t be further apart. One ill-fated evening, Star jeopardizes her family’s business, her relationship with her boyfriend, and her future career. To redeem herself, she agrees to participate in a national craft competition, teaming up with her best friend, Ofelia-a secretly troubled mother whose love for crafting borders on obsession-and local celebrity Chloe Chavez-a determined television personality with more than one skeleton in her professional closet. If these unlikely allies can set aside their differences, they’ll find strength they never knew they had, and learn that friendship, like crafting, is truly an art form. 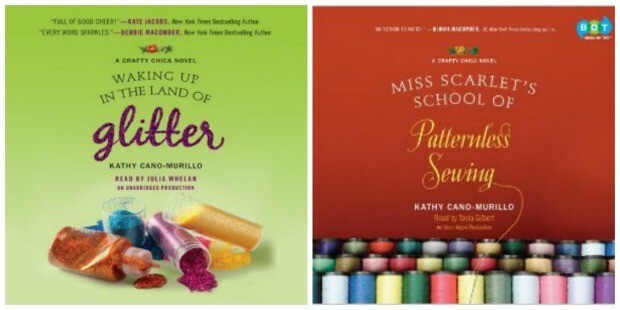 Buy Miss Scarlet’s School of Patternless Sewing here. Scarlet Santana is never happier than when creating fabulous fashions for women of all shapes and sizes. Now, after years of hard work, she finally has the chance to live her dream and study under the hottest designer in New York. To raise money for her move, Scarlet opens an after-hours sewing school in a local record shop, teaching a type-A working mom whose rigid parenting style is causing her family to unravel and an enigmatic seamstress with a mysterious past. But as stitches give way to secrets and classmates become friends, the women realize an important truth: There is no single pattern for a good life. Happiness is always a custom fit. 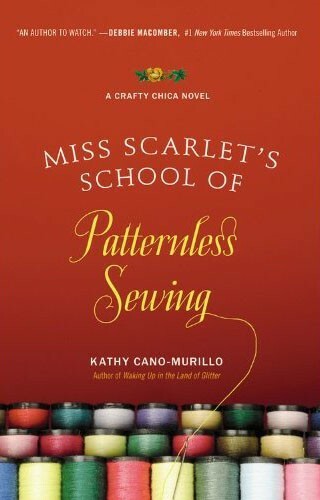 Buy Miss Scarlet’s School of Patternless Sewing here. Buy Crafty Chica’s Art de La Soul here. No one knows better than crafty chica extraordinaire Kathy Cano Murillo the satisfaction that comes with creating one-of-a-kind items. 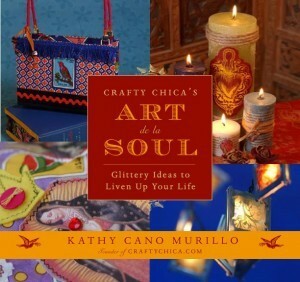 In Crafty Chica’s Art de la Soul, she offers thirty original projects ranging from colorful jewelry and elegant candles to hip Mexican coffee coasters. 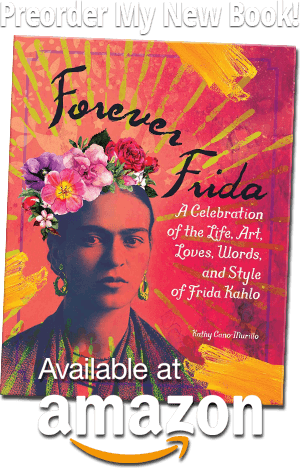 Along with full-color photographs, step-by-step instructions, and a handy resource guide are Murillo’s fun and inspiring tips for connecting with your culture, tapping into your creative spirit, and finding new ways to spice up your love life, glam up your garden, redecorate your kitchen, and much more. 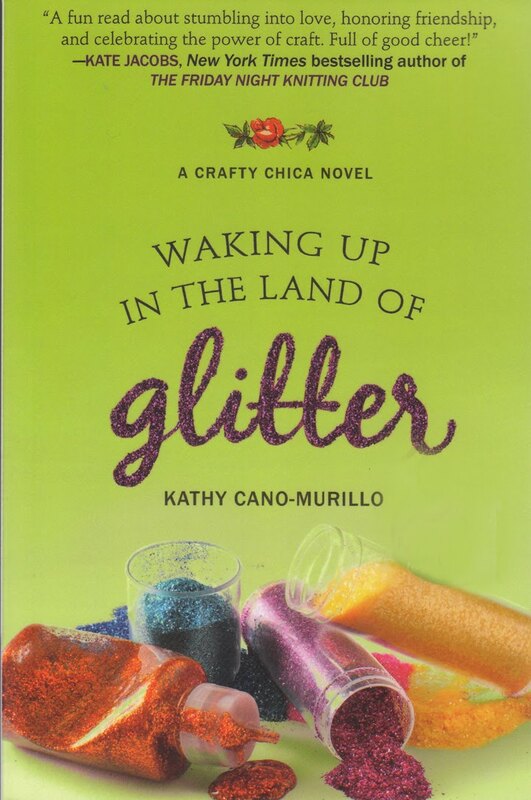 With Kathy Cano Murillo’s guidance and glittery ideas, crafty chicas of every age and skill level will be well on their way to developing their own personal sense of style while living artful lives. 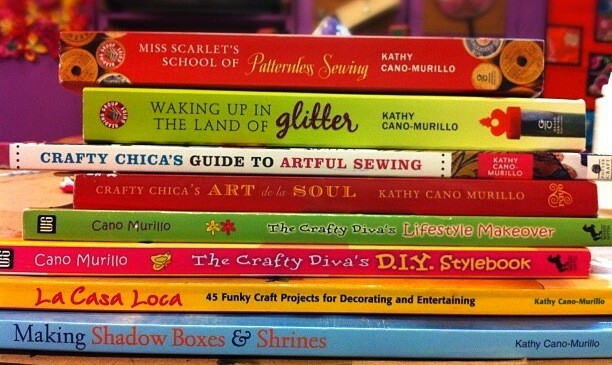 The Crafty Diva’s Lifestyle Makeover: Awesome Ideas to Spice Up Your Life! I don’t care if it’s on stage, on pages or a doodle in my journal – I love to share stories. And it all started by putting my pencil to paper. I remember the day I knew I wanted to be a writer. 5th grade, Mrs. Mayhem’s class. We were to draw a picture and then write a companion story. Already a TV sitcom junkie at that age, I decided to use a recent family scenario as my plot. Earlier that week, I helped my mom bake moist chocolate fudge cupcakes for the next day’s school bake sale. My mouth watered as I stirred the batter and when she wasn’t looking, I scooped up a fingerful to gobble. My brain practically exploded thinking about the frosting to come. When we finished and the cupcakes cooled, I asked her if I could please have one as a sample – you know, as quality control before we served them to the masses. I think I may have been a little too excited about the cupcakes because at the dinner table I couldn’t stop talking about how I couldn’t wait to eat them. From the dinner salad to toast, the pot roast, veggies, I went on and on while everyone chewed their food. My older brother rolled his eyes when I explained the grueling-yet-empowering frosting process of sifting confectioners sugar and cocoa, not to mention the butter, brown sugar and milk concoction. I noted his unappreciation and considered banning him from the sampling fiesta to come. Minutes later, I had finished my plate clean. “You sure are excited about that cupcake!” my dad stated, his eyes gleaming with a mischievous twinkle. I giggled as I squirmed in the vinyl dining chair. My mom walked over and gracefully placed the magnificent confection in front of me. Deep dark, creamy goodness contained within a baby blue paper liner. I closed my eyes and lifted the edible jewel to my face, ready to sink my teeth into the creamy decadence of happiness. But before the cupcake crossed my lips, my dad reached over like a ninja and PUSHED it in my face. I couldn’t handle all the emotions that came at me in that moment. The shock of betrayal by my dad. The magnitude of sadness at the thought of all those wasted, rogue crumbs. The loss of tasting my cupcake that I worked so hard to create with all my heart. I hit my hands on the side of the chair, squeezed my eyes shut and screamed as loud as my vocal chords would allow. My mother, horrified, ran over to the counter, grabbed a cupcake from the tray, came back and planted in right in the center of my dad’s face. He tossed back his head and laughed heartily, then looked at me. He loved being a prankster, but I knew he felt my pain. My tears to turned to a pout and then a shaky smile when my dad invited me to smash a cupcake in his face. Oh, it didn’t end there! My dad then smashed a cupcake in mom’s face. All three of us had our faces coated with handmade fudge frosting. Well except my brother. He pointed at us and slapped his hand on the table, thoroughly entertained. I wish I could say we all pelted him, but we didn’t. My mom brought over a roll of paper towels and we cleaned up our mess. And of course, we sampled a cupcake! I still remember that night as if it were yesterday. My parents were always playful, and man, my dad LOVED to prank his friends and familia. Wouldn’t you use this as your English assignment? I sure did. I drew the picture of the cupcakes and then wrote out the entire scene, play-by-play. Mrs. Mayhem gathered not only our homeroom but all of the 5th grade homeroom classes. We sat on the floor, about 80 of us, wondering what she had in store. I gasped in shock when she announced my name and asked me to come up and read my story out loud. Being a chubby little girl, the last thing I wanted was attention, but in this case, I felt confident and excited. I leaped up and read the story, complete with exaggerated facial expressions and arm theatrics. My classmates howled in delight. They loved it and heartily applauded me when I finished. I felt a rush of pride from my tippy toes to my eyebrows. For once in my life, I felt like a cool kid. I made several new friends that day. And I never stopped writing stories. And that leads me to this page. I’ve had the privilege to author nine traditionally published books and contribute pieces to a multitude of others. If there is anything in my life that I want to be remembered for, it’s sharing stories. Thanks for reading about my cupcake memory! I hope you take an interest in these books. and yes, I’m working on more! 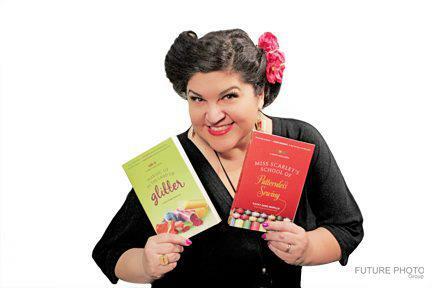 Whether you are into metaphorical glitter or the tangible kind – I have a book for you! By the way, the novels are available on audiobook!